From all those traditional letters to that beautiful phrase, “you’ve Got Mail. The emails went through a lot of transitions. But those Scammy Nigerian Prince Schemes, The Spanish Lottery and a huge number of unsolicited Spam emails did much harm to this marketing tool. Often there arises a question that, should we still rely on emails? 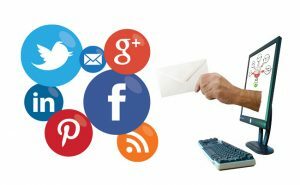 Is e-mail marketing still a worthwhile tactic for business owners? If you’re anticipating no as an answer, then you should think again. Why do we say so? It is because email marketing is still alive. In fact, it is more powerful than ever. So the question that arises is, what do we do to market our small business? Should we still consider email marketing as one of the key players in our marketing strategy? The simplest answer to the questions is, yes. Let’s find out the reasons that Why Email Marketing still matters for all. In 2017, Go Mobile is a term which is gaining popularity. Why is the term getting popular? It is because people love browsing things from their mobile as compared to the desktops or laptops. Other than this, a large number of people prefer reading their emails from mobile. 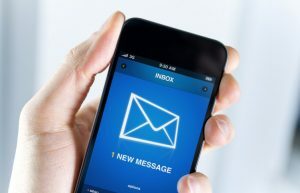 Alone in the US 52% of people prefer reading their emails from a cell phone. So Email marketing helps to reach mobile customers easily. Bombarding emails merely to fill the inbox of your subscribers is as you are dumping the stuff. It is better to design your emails in a way that should help your audience in understanding that what do you want to say? The business that runs and maintain email campaigns properly tend to generate more sales as of to those that do not. Your time to time emails tells your audience that you are alive. It ensures that you add value to them. Why do people subscribe to any email address? Just to receive and delete emails? Not at all. They subscribe to any email address with a hope that they will get something valuable into their inbox. In order to boost the morale of your audience, it’s important that you should offer something extra to them. Other than this, a large number of online shoppers subscribe to an email list to receive coupons. 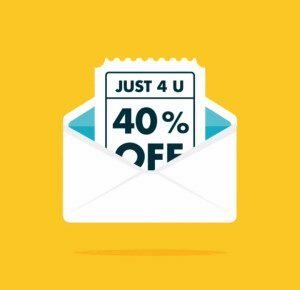 Now, if your online store is not offering any sales or promotional coupons, you won’t be able to drive traffic and the visitors to your online store. The embedded tools within the email marketing channels help in sorting out the lists. Based on these segregated lists, marketers then determine what information to be communicated with whom. Call it or not, the best reason to use email marketing is: it is effective and inexpensive. By using email, business owners can reach a large number of the audience without investing much. Another advantage of using this marketing mechanism is, your audience is known. Email marketing gives your customers, a feeling of personalization. It gives them the gesture that you do care for them. On the other side, it enables marketers to create personal experiences that tell about the recipients. Emails having personalized subject lines have a more open rate. There’s no denial about the importance of social media. However, when it comes to customer acquisition then email marketing has more power than social media. Why is this? It is because businesses use social media to create buzz. Contrary to this, email marketing gives a gesture of personalization. It tells the user that this thing is particularly meant for them. Email marketing leads to action. The email marketer’s giants say that emails are transactional by nature. Businesses use email to direct traffic to their website. This traffic then goes to the sale. What’s more about the Importance of Email Marketing for Businesses? The importance and the success of email marketing go long and long. 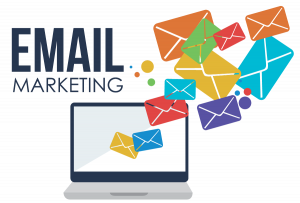 Whether this is a small store or it is a big organization, the point is that email marketing is still alive and important. This may be an old tactic, but it remains important and it will be. Moreover, like every other marketing trick, this one is relatively simple to get start with. Previous Previous post: How to Get More Followers on Your Social Profiles?